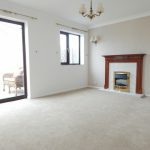 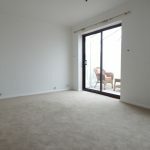 LOUNGE/DINING ROOM: 15’3 x 10’8 (4.65m x 3.25m) Having a feature fireplace with space for an electric fire, radiator, two wall lights, double glazed patio door into the conservatory and a double glazed window to the rear. 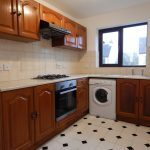 FITTED KITCHEN: 10’2 x 7’2 (3.10m x 2.18m) Having a range of wall mounted and base units, roll top work surfaces with a stainless steel sink and drainer, electric oven, four ring gas hob with an extractor over, ceramic tiled flooring, space for a fridge/freezer, radiator and a double glazed window to fore. 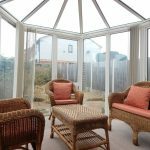 CONSERVATORY: 9’10 x 9’5 (3m x 2.87m) Having double glazed windows to the side and rear with a double glazed door that leads out into the rear garden. 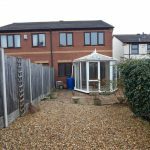 GARAGE: 17’3 x 7’2 (5.26m x 2.18m) Having a metal up and over door, lighting and power points. 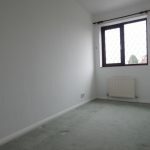 BEDROOM ONE: 11’ x 9’2 (3.35m x 2.79m) Having a built in wardrobe, radiator and a double glazed window to the rear. 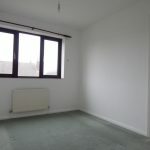 BEDROOM TWO: 10’2 x 8’5 (3.10m x 2.57m) Having a radiator, built in wardrobe and a double glazed window to fore. 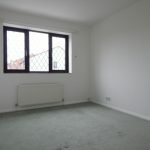 BEDROOM THREE: 11’ x 5’10 (3.35m x 1.78m) Having a radiator and a double glazed window to the rear. 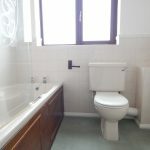 FITTED BATHROOM: Comprising of a panelled bath with an electric shower over and a glass shower screen, pedestal wash hand basin, low level flush W.C, splash back tiling, extractor fan, radiator and a double glazed window to fore. 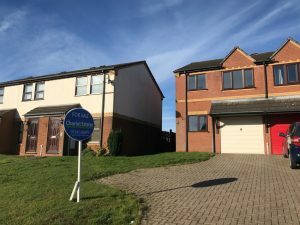 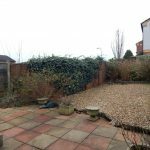 ENCLOSED REAR GARDEN: Having a paved patio area that leads to a gravel area, hedge with gated access that leads out to the front of the property.